Audioboom / Open the Voice Gate #25: 25?! Yes, Open the Voice Gate is back for our 25th episode, a milestone that literally none of us were even aware of as we recorded it (as you'll hear when we mention it approximately zero times). We celebrate it the only way we know how: by obliviously ignoring it and drudging on to talk all things Dragon Gate! John, Mike, and Milo talk the Gate of Destiny PPV, easily DG's best of the year, breaking everything down including the MOTYC main event between Mochizuki & Susumu, Ricochet's return to DG after 2+ years, a 3-way Triangle Gate match, and more! 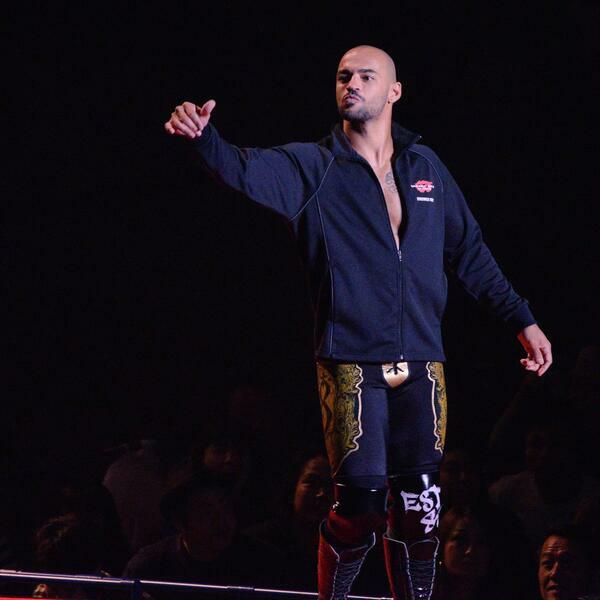 Once that's out of the way we move on to the 11/8 Korakuen including the big heel turn in the main event, Ricochet's graduation, a new member for MaxiMuM, and much more. We then talk this episode's Retro Rewatch match, a CIMA vs. Masaaki Mochizuki Dream Gate match from December 2004 featuring the very first Dream Gate title change in DG history! Finally, we wrap things up with a strangely college football-focused edition of the mailbag (gag). All this and much more on this edition of Open the Voice Gate! Voting on the 2nd Annual Open the Voice Gate awards is now open! To see the ballot and find out how to submit your votes, please go here: goo.gl/zt5Bfz.